Home APPS Is Rainbow The Best App For Business Use? 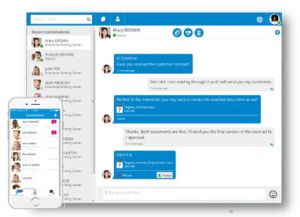 Is Rainbow The Best App For Business Use? 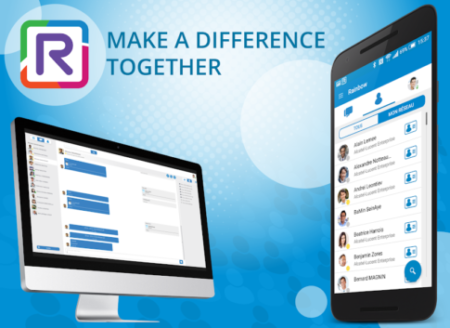 The Rainbow App is a cloud-based collaboration app that connects you with your business community. Or you can say that it is a combination of various social media apps but for official use. It provides you with easy chats, calls (audio-video), file sharing and much more. The rainbow app can be used on mobile as well as desktop. Once you sign up, it is a little cumbersome process though But once you are done with it will be as easy as WhatsApp and Facebook. Rainbow is able to overcome the problem of notification alerts which is highly faced by Slack. Moreover, If Rainbow App adds on some colors just as the name suggests it might make it more interesting to use it. After inviting members you can start an easy chat with them. Or if you want to make an office group, the ‘bubble’ feature is provided. It is a two-step process; Name a group, add members and finally start a conversation with your colleagues. Rainbow Channel is a useful feature to provide information about the organization or the products and services provided. It will be displayed as the posts visible on the homepage. 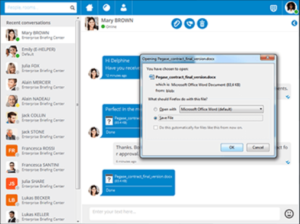 Rainbow provides you free audio-video calls service for office use. Calling Quality is quite good and clear provided that you have a good internet connection. Rainbow App allows storing documents. It is not just restricted to store files but also one can share it with colleagues and office groups. To all of the above, Still, anyone faces any problem there is Emily the 24*7 rainbow Bot to help you. Rainbow App can be downloaded easily from the Play store for androids as well as iOS users. For the Latest Tech News India & Updates follow us on Facebook, Twitter, Instagram, and Youtube. The rainbow app is secured and easy to use for business purpose. All functions from chats, groups, A/V calls are provided.